Well, one holiday past...can you all believe that it's November already?? 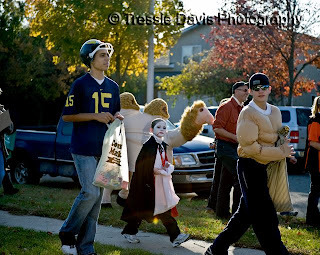 Halloween was a great time in the Davis neighborhood. 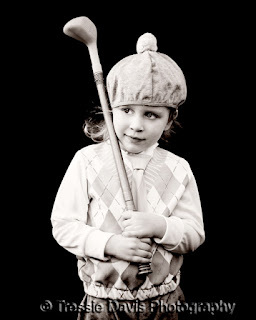 My three youngest were golfers. Actually, Allie says that she was a "carrier" (caddy). All were super cute. And how cute is Alex, modeling in her "Carrier" costume? What a ham! A few pics of baby boy, super cute as usual. 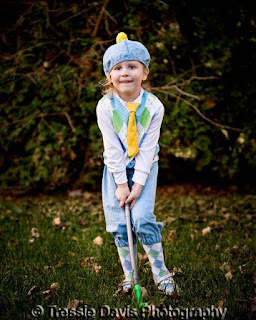 He's supposed to be a golfer too, but he had his face painted at Riley's school party and he wanted nothing to do with the toy golf clubs that came with his costume so he ended up looking like a clown or something. 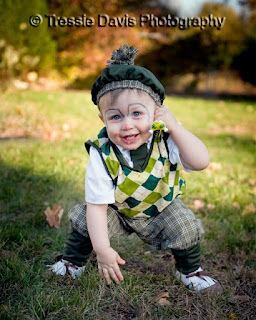 It may be a confusing costume, but it doesn't diminish his cuteness any! Dom did trick or treat, but I had to catch a photo of him on the fly - he was in a hurry to get away from his embarrassing parents and get some candy. Go Blue! 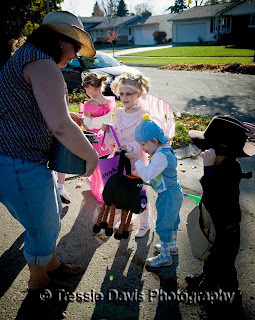 My niece and nephew live in our neighborhood too, so we all went trick or treating together. 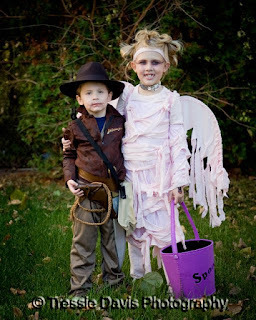 Isn't this the most adorable Mummy Fairy and Indiana Jones you've ever seen? And then the costume posing is over and we get to the Trick or Treating - FINALLY. 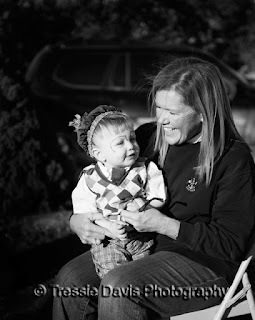 Robby didn't go Trick or Treating, but he got quality time with Nana - thanks for coming out to help Katy!! 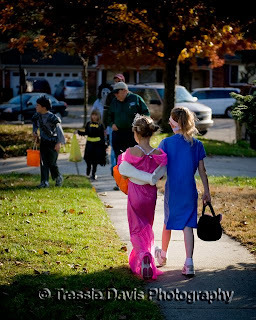 Hope everyone had a fantastic Halloween - now on to the rest of the holidays, and the remainder of 2008! Tressie, the kids look do cute, all except for the one in Michigan Blue! LOL I'm going to post a photo on my blog just for you! 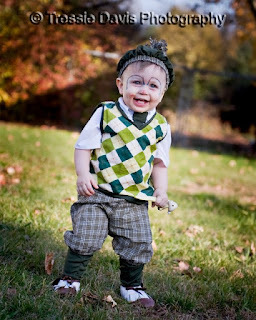 I just want to squeeze that little Robby! The photo of the "carrier" with the club up on her shoulder is too cute!!! You've got to love the midwest on Halloween! 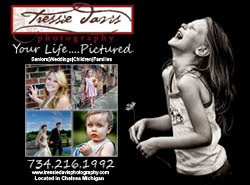 Beautiful photos, beautiful children! Tressie ~ OMG, they are all super-cute. Darian will love to see these pictures of his girlfriend! I just have one minor edit...I think you meant "Go Bucks"! We miss Chelsea and you all so much, I love getting the updates from your site! 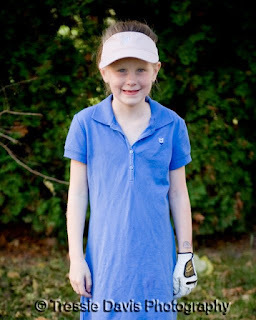 Adorable Tressie, I LOVE the golfers!!! Great costumes!